If the legal world seems exciting to you, then perhaps you should consider pursuing a degree as a paralegal. Paralegals are also referred to as legal assistants. 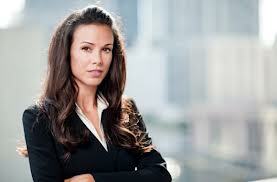 A paralegal can work in many different areas of law, including tax law, criminal law, family law, and estate law. Of course, as a paralegal, the type of paralegal work you will be doing will greatly depend on what type of lawyer you are employed by. However, one thing is consistent; your job responsibilities as a paralegal will be nearly as involved and inclusive as your employer's job duties. In addition, the paralegal profession is a rapidly growing area of work within the legal sector, so now is a great time to jump into this career! If you are serious about getting stared then find all schools below offering paralegal masters degrees and request information from any listed. Financial aid may be available to those who qualify. As a paralegal, you will likely find yourself working one on one with many of your law firm's clients. This may require you to interview clients or witnesses. It may also include you working with clients to create documents such as legal trusts, tax documents, divorce documents, and estate planning documents. On the paperwork end of the paralegal profession, you will likely be responsible for checking facts related to a case, submission of documents to the courts, developing pleas and motions that are used within a case, and obtaining necessary affidavits. Depending on the type of attorney you are working for, you may also be required to perform legal research. This may involve you gathering appropriate legal data that will be necessary for court proceedings. This legal data could include materials regarding laws and regulations, pertinent court judgments, or appropriate precedents and statutes. Keep in mind, as a paralegal the only actions you will not perform that an attorney does are: determining the fees charged to a client, performing actual litigation in a court setting, and providing legal counsel to the clients. Within your work as a paralegal, you will often know the ins and outs and specific details of particular cases, since you will be responsible for much of the preparation prior to court proceedings. In order to be successful in this demanding profession, it will be important for you to be very organized and detail oriented. In order to be the valuable assistant your employer will necessitate, you will also need to be extremely computer literate. This is due to the fact that it is highly likely that all of the documents used by your attorney will be stored and managed electronically. If the job description of a paralegal sounds exciting to you, then it is time to figure out your plan of action. First, you will need to locate a university or vocational school that offers a degree or certificate to become a paralegal. It is important to verify if the program you are interested in is approved by the American Bar Association (ABA). Some attorneys will require that their paralegals have training that is approved by the ABA; others will not require a degree that is approved by the ABA. It will be a good idea to do your homework with attorneys in your area to get a feel for what they will require. It will be in your best interest to pursue a two year or four year degree in a paralegal program. This will greatly influence your ability to obtain a job with a reputable firm. It will also be a good idea to decide on an area of specialty and to consider being certified by the National Association of Legal Assistants (NALA). Find paralegal masters degree programs below to start your research.